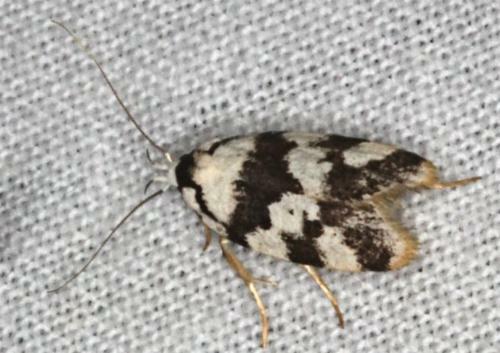 The moths of this species have off-white forewings, each with three dark brown wiggly bands. The hindwings are pale brown. The head is white with a black collar. The wingspan is about 1.5 cms. CSIRO Publishing, 2000, p. 149, 154, 162. Volume 20 (1896), p. 18.